Jack Falla is the author of five books, most notably Home Ice, an essay collection. He covered the NHL for Sports Illustrated for many years, and during that time wrote two cover stories on Wayne Gretzky. 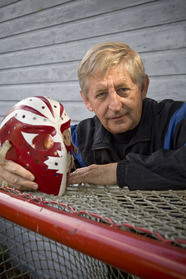 His work has also been published in USA Today, Boston Magazine, and USA Hockey.